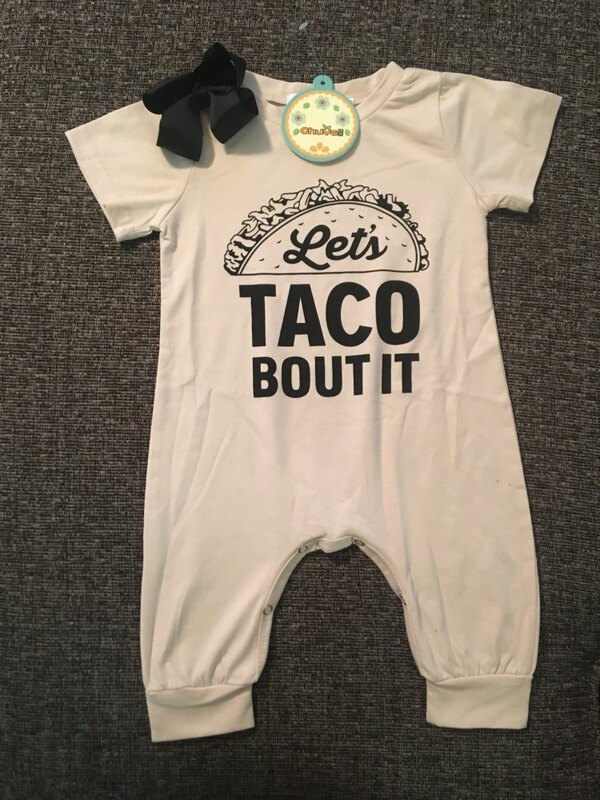 Baby Onesie Sayings Lets Taco Bout It is a stylish Jumpsuit for your little baby boy or baby girl. Great product, looks big for 12M... we can grow into it though. I’m glad it’s not too small.